Page 69: IFE 2018 has been an important event for Dimac, represented by the Canadian partner Angor-Intools, to meet customers, experts and all the people who are on the inside, and take an extremely positive stock of his more than strengthened position in the American market. Read the report about the Las Vegas Expo. Page 72: Robotics and Automation applied to the Statistical Process Control. 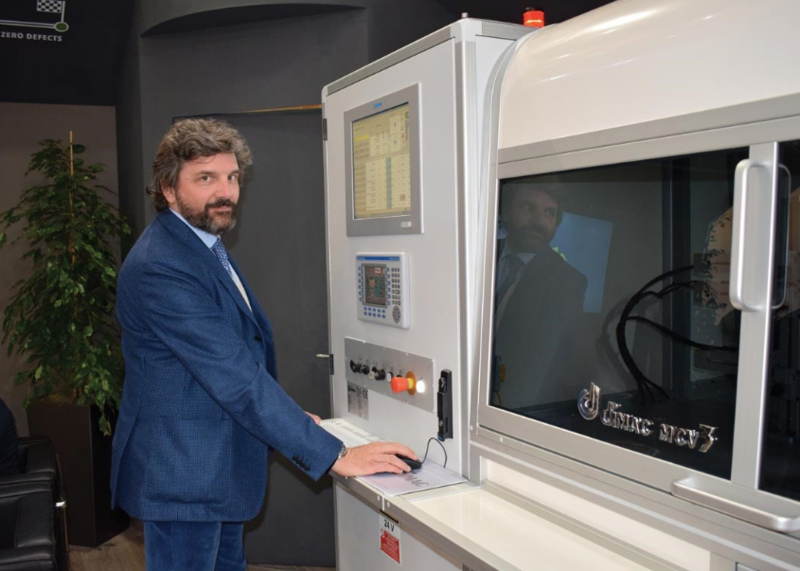 Dimac presents to the US market the upgraded release of SPC-LAB and the definitively novelty of the new latest generation model: SPC-ROBOT. Page 102: an interesting focus about the new concept solutions by which Dimac simplifies the structural controls, hardness and heat treatment. Page 32: Among the most advanced solutions applied to the heat treatment control, the new Eddy Current DIMAC HT control station. Go ahead.